Thermafiber Impasse Insulation Hangers and Locking Washers are designed to provide superior insulation security and support where mechanical attachment is a requirement. The patented design of Impasse Hangers reverses the order of installation. 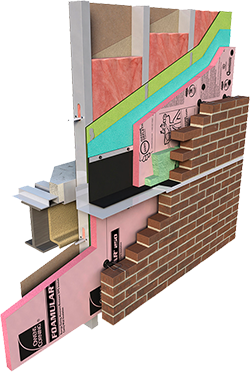 The reversed installation order allows users to insert the Impasse hangers directly into the insulation and then install the insulation panel directly onto the opening. Traditional insulation pins require users to install the pins in the opening first and then force the insulation onto the pins.